Paleo diet has been a subject of many controversies in the past but has still managed to remain one of the most popular diets today. 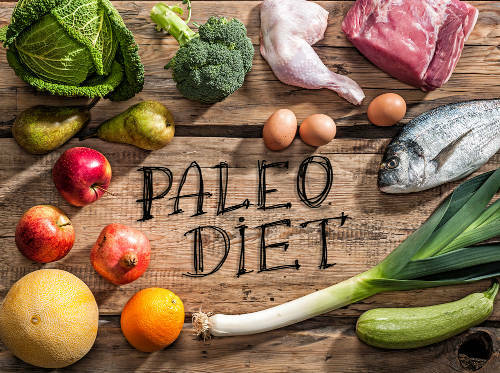 Paleo diet consists of only the foods which were available to our hunter-gatherer ancestors during the Paleolithic age, thousands of years ago. There is a massive community which is a huge supporter of Paleo diet and claims that it is quite effective for health and avoids the risk of diabetes, obesity, and heart diseases. Gluten-free diet is quite popular among people suffering from celiac disease or any other gluten-related medical conditions. A gluten-free diet is basically a diet which excludes protein gluten, such as that found in grains like barley, rye, wheat, and triticale. There are many gluten-free alternatives of grain and flour, such as buckwheat, corn, coconut flour, pea flour, and soy flour, etc. Although many people think that gluten-free diet is highly effective for weight-loss, it has not been proven yet. Eating healthy sure restricts your diet, and sometimes you feel like you are repeating the same menu every other week. This sometimes also leads to eating unhealthier food for a change of taste. Sure, we understand how taking care of your own, and your child’s diet can further restrict the allowed food items, but believe us it is not that hard. Healthy diet does not include veggies and fruits only. So, all you need to figure out is how to diversify your menu and understand the diet that you need to provide for yourself and your kid. Which is why we are here for you! Whatever your reason may be for opting vegetarian diet, weight-loss or humanly concerns, you are at the right place. A vegetarian meal plan is associated with an increase in the consumption of folic acid, fiber, magnesium, unsaturated fats, phytochemicals, and vitamins C and E. It is a healthy way of life and supports you to lose weight and keep yourself fit without even feeling that you are dieting. However, you need to find veggie alternatives of meat to make sure that your body receives its required nutrients in order to keep yourself healthy. A vegetarian meal plan includes no animal flesh and sometimes also cuts out dairy products or eggs. Low-carb meal plan refers to a diet which limits the intake of carbohydrates and increases the intake of vegetables, fats, and proteins. It is also known as low-carb, high-fat (LCHF) diet or ketogenic diet. Studies have proven that a low-carb diet can be effective for weight loss and improves your health. Don’t believe every misconception that you hear because it has now been proven by studies that natural fats are nothing to worry about; you can still eat most of your favorite food items and still lose weight. When on a low-carb diet, you only need to restrict your intake of sugar and starch.